Regular maintenance will keep your fish healthy and your pond looking it best. We provide regularly schedule maintenance services on weekly, bi-weekly, and monthly schedules depending on your pond. 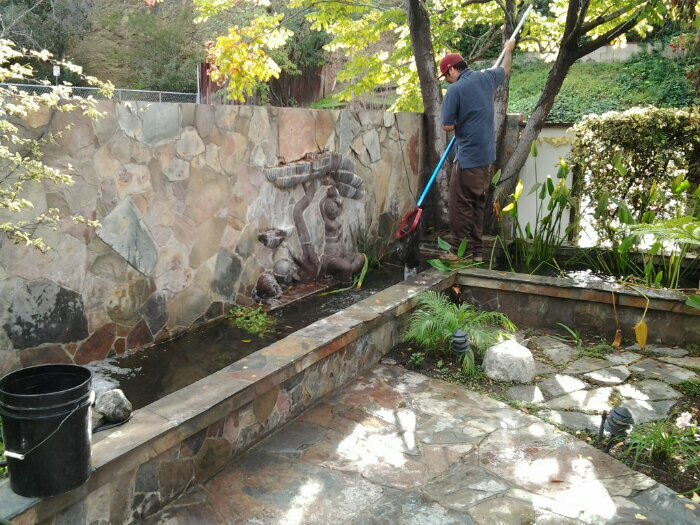 Give us a call for a free estimate, and we will schedule an appointment to meet with you and assess your pond and suggest a maintenance schedule and any changes that would improve your pond.